← Beware! Luca Efalquin is another FAKE and Fraudulent Procurator from Tenerife! More rubbish from the Fake Lawyers set up in Tenerife. If last week we published a warning about the fake procurator Eliana Ecamilis, this week the name is changed already. The lady in question is all of the sudden called Elenaide Camilis. Why? Well obviously to avoid people looking on the Internet before they make a payment and finding the warning from last week. 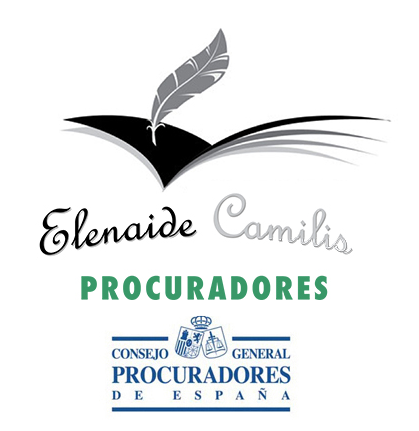 DO NOT PAY to this fake and fraudulent Procurator Elenaide Camilis. If you have been speaking to any lawyer’s office in Tenerife who signed you up for a no win no fee claim, but are now asking for procurator fees in order to send you the awarded money by cheque, please let us know! There are NO claims, there is NO money awarded and they WON’T STOP asking you for more money unless you realize this is a scam. This entry was posted in Canary Islands, Fake lawyers Tenerife, Fake Lawyers Tenerife, fraud, Legal Services, Mediation services, Tenerife, Warnings and tagged Abogados Litigacion, Arona courts, Awarded claims, Cold Calls, Elenaide Camilis, Eliana Ecamilis, Fake court claims, Fake lawyers Tenerife, Fake Procurator, fraud, Litigalo, Scam, Sta Cruz Court. Bookmark the permalink.